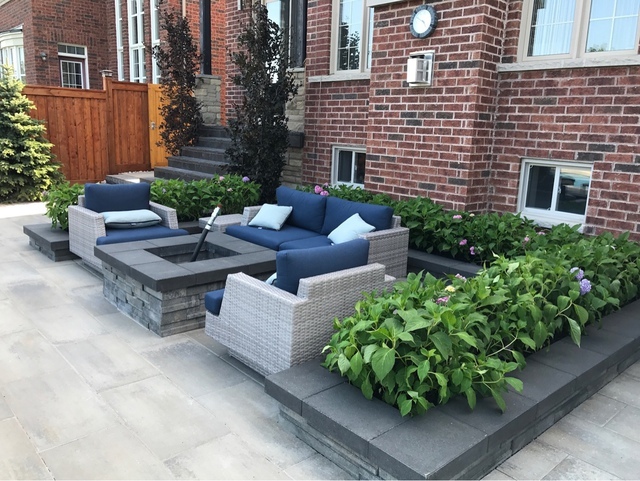 After receiving several quotes and plans for our backyard, we easily chose Precision to transform our backyard into an inviting and private space for our family. Steve will work with your current budget and further help in the future planning of the space. 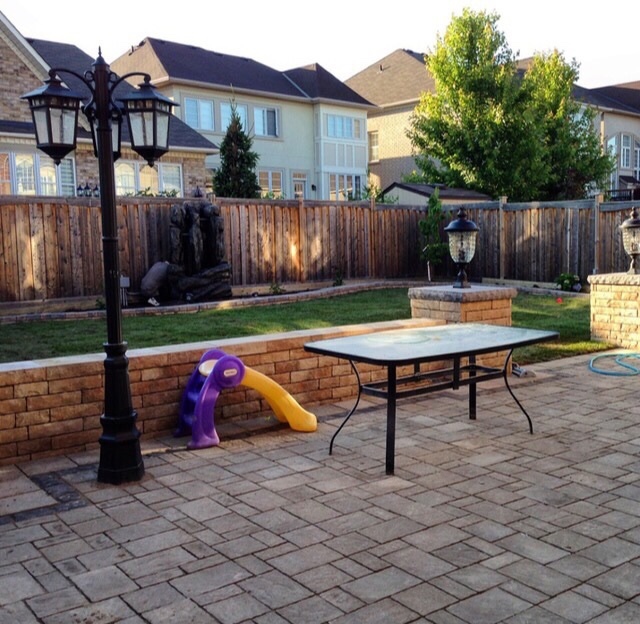 We will now be inviting the team back for the third year to add stone work to our matured backyard. Thank you very much for the great review Craig & Michelle!!! Very kind words, we really appreciate hearing that! Look forward to seeing you this spring! A huge pleasure to work with Precision. From beginning to end they showed dedication to quality and meeting deadlines. Extremely professional and hardworking team! Thank you for the great review George! For a while now, I wanted to change up my backyard and I knew I would need a landscaping company. I met with a few, but wasn’t happy with any until I choose Precision! Great work ethic and beautiful design. 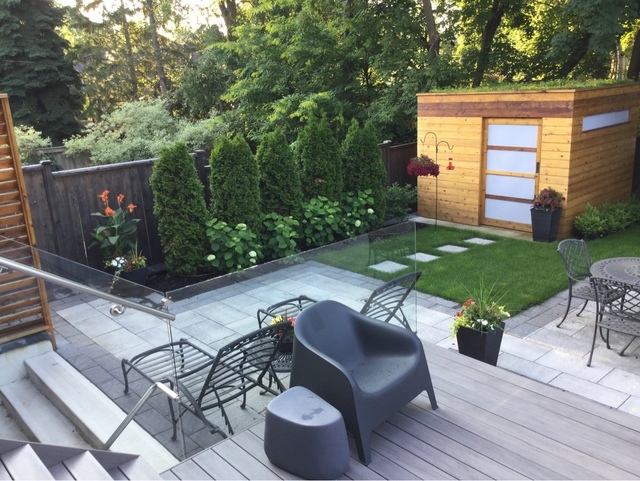 Steve changed the design and brought my backyard to life! My experience with Precision was nothing but perfect, I would highly recommend. Thank you very much for the great review, enjoy your new landscaping! The crew designed an amazing layout for my front yard interlock and worked really well to create it. They are a group of really nice guys (awesome customer service), I’d definitely recommend Precision landscaping. Thank you for the great review and kind words! Great and affordable work done with quality. As person who is always looking to find quality landscapers it is hard to find a great price with quality work. There customer service was superb. They brought my backyard from mediocre to a whole new level. They created a great space that now I can share with freinds and family. Job well done!! Thank you for the amazing review Jehvon! Have a great summer & enjoy the outdoor space! Great work and customer service. Steve made me a great design and really brought my backyard to life. Superb job by the crew and even better customer service. Had a great experience working with Precision, I'll definitely recommend them to my friends. Thank you for the kind words Dylan! Really appreciate your review! They did a quality job and were great to deal with. 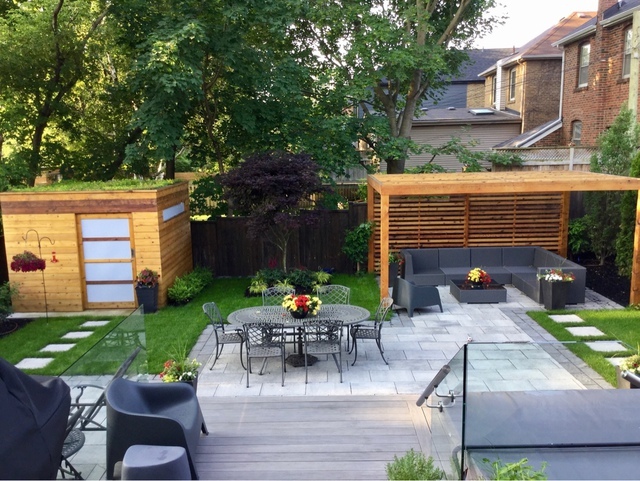 The yard looks amazing, the landscaping is sustainable, and we made great use of space. The Precision Landscaping team was very professional. My wife and I wanted to redesign our entire backyard. Steve was able to book us in as soon as possible to give us a quote and some ideas for the design. We followed his lead and got exactly what we wanted. I'll definitely be using Precision again this summer, this time for my front lawn. Thank you for the amazing review Jerick! We look forward to completing your front yard! I highly recommend Steve and his team at Precision Landscaping. 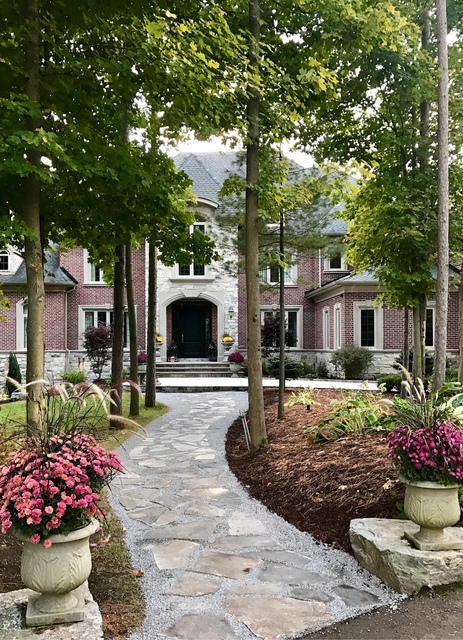 They are very good at what they do and Steve is a very well respected man among his customers and he gave reasonable prices and he is always flexible with last minute changes that didn't affect the overall price and the completion date of the project. Thank you very much for the great review Michael! Since we started serving the GTA in 2006 we have been dedicated to providing the ultimate finished product. We specialize in residential and commercial landscaping including Re/Re work such as trench and boulevard restoration. 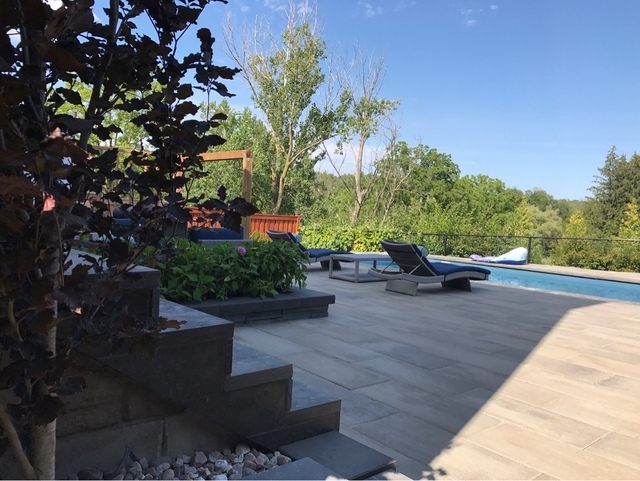 All of our work is designed to not only be aesthetically pleasing but also withstand the harsh Canadian climate. We also provide a complete property maintenance service for condo complexes, plazas, and residential. The end goal is to provide the best quality service to our clients. All jobs are fully insured and bonded. We provide helpful suggestions and create beautiful custom designs suitable for any budget. The sales representative's job isn't over after the contract is signed, they are there to help throughout the process, ready to answer any questions you might have and handle changes at the customers request in a professional and timely manner. Daily updates on how the project is going are provided to ensure that everything has been completed to our customers needs. We warranty all of our work. 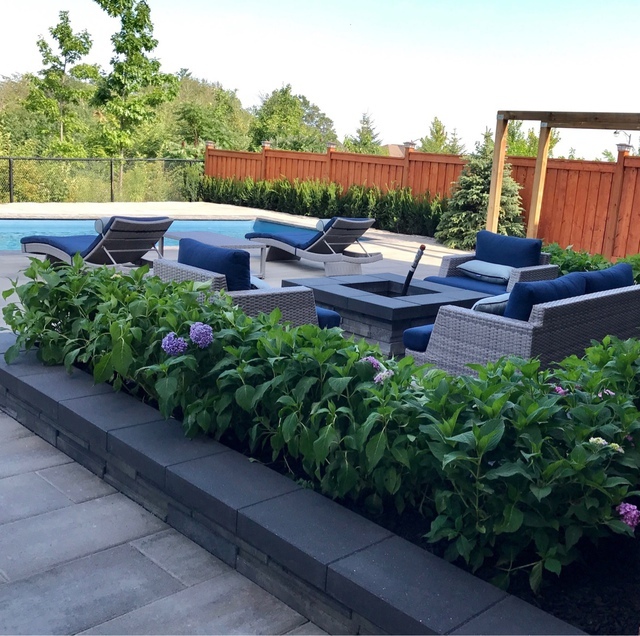 Our plan is to make sure that all of our customers enjoy working with us and enjoy their new outdoor space. Please contact us and we would be happy to send a sales representative out for a free quote with no obligation.